It has taken a process of approximately fifty years for Child and Adolescent Psychiatry and Mental Health to gain functionality and to be recognized as a science in our country. 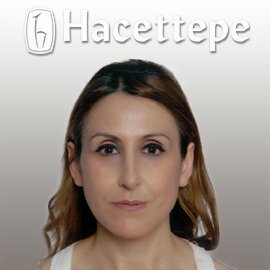 Dr. Mualla Öztürk, M.D. a then- pediatrician in the recently established Hacettepe Pediatrics Institute, initiated studies on child psychiatry in 1955. Having been sent to USA for her residency on Child Psychiatry, Dr. Mualla Öztürk founded the “Department of Pediatrics" of Hacettepe University Faculty of Medicine upon her arrival back in September 1958. Dr. Birsen Sonuvar, who had also completed her psychiatry residency within the same period, began to work with Dr. Mualla Öztürk in the Department of Child Mental Health. 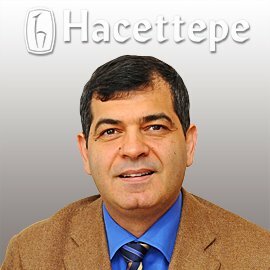 Concurrently, Dr. Atalay Yörükoğlu also went to USA for general psychiatry residency with the scholarship he was granted, and started to work at Hacettepe University, subsequent to the completion of his education on child psychiatry between 1962 and 1964. 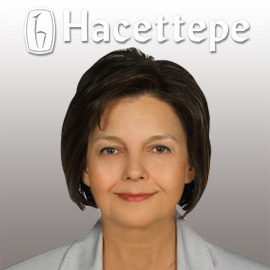 Dr. Selma Akyıldız and Psychiatrist Ayşe Yalın were also included in the team, the sole members of which were Mualla Öztürk, Atalay Yörükoğlu and Birsen Sonuvar for a long time. 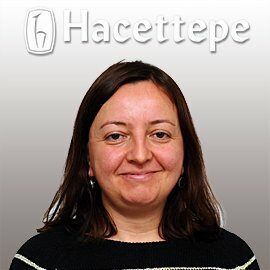 The first Child and Adolescent Psychiatry and Mental Health Department was founded in Faculty of Medicine of Hacettepe University, which was then followed by pther centers. Ministry of Health recognized this department as a separate medical specialty in 1990 and determined the conditions related to the education delivered within its scope. Child and Adolescent Psychiatry and Mental Health Subdivision functioned as a sub-unit of Department of Psychiatry at Hacettepe University and was converted into an individual medical specialty and department, with the co-decision and approval of Ministry of Health and CoHE (Council of Higher Education) in 1995, when it was named as Child and Adolescent Psychiatry and Mental Health. Department of Child and Adolescent Psychiatry and Mental Health of Hacettepe University Faculty of Medicine is located on the 4th floor of İhsan Doğramacı Children's Hospital. The outpatient clinic services are offered for children and adolescents aged 0-18. The patients requiring an inpatient follow-up are hospitalized in the psychiatry and pediatrics departments. Moreover, consultation and liaison activities are carried out collaboratively with other departments. The services of our department are provided by academic staff and instructors, clinical psychologists, social workers and residents. Achieving a healthy social structure can only be possible by ensuring the mental health of the majority of people in our country, population of which is comprised of children and youngsters by more than 50%. At this point, the significance of the science of Child and Adolescent Psychiatry and Mental Health becomes prominent. The medical specialty of Child and Adolescent Psychiatry and Mental Health is concerned with the behavioral and social aspects of the diseases, in addition to their biological and mental aspects, and it is intended for training and preventive health care activities in this regard as well. The developmental evaluations, assessments of mental complaints, diagnoses and treatments of the children and the adolescents are among the services provided by the outpatient clinic of the department. In this context; personal psychotherapy, play therapy, group therapy with psychodrama method, family therapy, pharmacological treatment, consultation-liaison, forensic psychiatry, social service practices and community oriented preventive mental health care services are offered. Psychological and psychometric tests that are used to diagnose or monitor the psychiatric diseases of children and adolescents are performed in our department if deemed necessary by physician. In the department, the psychological training service is provided for families, particularly those with children who have attention deficit hyperactivity disorder and behavioral problems. Our department does not have an ward. Patients who require inpatient follow-up are hospitalized in the psychiatry and pediatrics departments. Consultation services for activities and projects aiming at developing policies for children and adolescents in our country are offered by the department. Furthermore, consultation services are rendered to Ministry of National Education, Agency for Social Services and Children Protection, Ministry of Justice (Juvenile Courts) and education institutions. 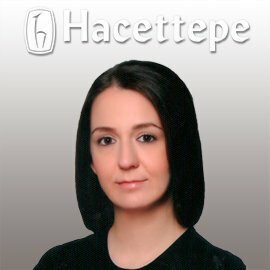 The Department of Child and Adolescent Psychiatry and Mental Health Outpatient Clinic of Hacettepe University operates with an appointment system. The outpatient clinic applications are admitted only after patients whose initial assessments have been performed in the Pediatrics Outpatient Clinic of Hacettepe University İhsan Doğramacı Children's Hospital, are referred to our department when necessary. A patient, who is referred to our department with consultation, is evaluated by the responsible physician and included the appointment queue depending on the emergency of the condition and invited to the department for examination through individual phone calls made on the first week of each month. Patients whose initial examinations are performed are given control appointments, when necessary. It is located on the 4th floor of Hacettepe University İhsan Doğramacı Children's Hospital. You can reach the department by entering through the gates no. 1 or 2 and taking the elevator, which is located in front of the pay desk at the end of the hallway lying nearby the information desk on the right side, to the floor 4. Head of the Department of Child and Adolescent Psychiatry and Mental Health, offices of instructors, service rooms of two clinical psychologists and a social worker working within the department, two visiting rooms, report secretariat and the Secretariat of the Department are located in this section. It is located on the 4th floor of Hacettepe University İhsan Doğramacı Children's Hospital. To reach the outpatient clinic; enter the building from gates no. 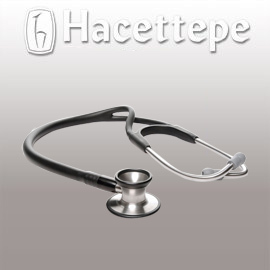 1 or 2, walk through the main hallway of Hacettepe Adult Hospital, and take the elevator on the left to the 4th floor. A playroom, a group room, three interview rooms and the Secretariat of the Outpatient Clinic are located in this section.